Amoxil (amoxicillin) is an antibiotic used to fight off various bacteria causing bacterial infection such as ear infections, skin infections, pneumonia, and urinary tract infections. It is one of the most commonly prescribed antibiotics as it safest and effective medicine also prescribed for children suffering from various bacterial infections. It works by inhibiting the growth of bacteria. How does Amoxil (amoxicillin) work? Amoxicillin is available as a generic medication belonging to a class of drugs called penicillin (they are antibiotic drugs). They are used to treat infections caused by bacteria and to kill the disease causing bacteria. 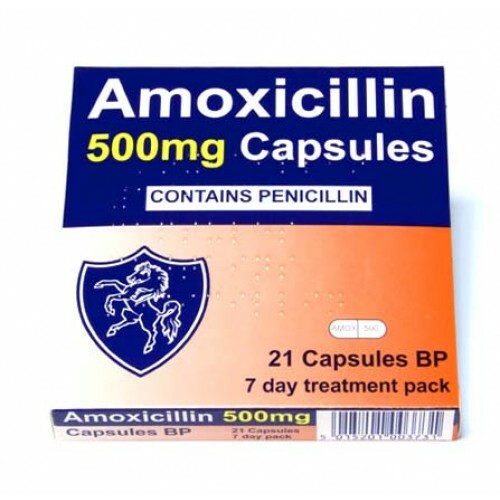 Amoxil is used to treat a various types of bacterial infections such as ear infections, skin infections, urinary tract infections, stomach ulcers, throat infections, typhoid and various other infections. Remember Amoxicillin treats only bacterial infections and does not work for viral infections like cold and flu. It works very effectively by putting a break to the growth of bacteria by preventing them from forming cell walls. This completely destroys the bacteria and eventually eliminates the infection. Amoxicillin is also used with other medications to treat other infections caused by bacteria. What is the recommended Dosage of Amoxil (amoxicillin)? The doctor will give you the dosage based on your age, tolerance, medical history and health condition and response to treatment. Use this medicines as directed by your doctor, do not alter the dosage recommended by the doctor. Take this medication by mouth with or without meals or as directed by your doctor. When you take this medicine drink plenty of liquids. Try to maintain the dosage at a constant level as this enables the antibiotics to work effectively that are why it is advisable to take this medicine at the same times each day. If you miss dose it should be taken as soon as possible. It is advisable to skip the miss the dose if it is time for your next scheduled dose .Do not take extra dose and continue to take this medication until the full prescribed course is finished, because if you stop to take the drug in-between your scheduled course the bacteria may get a chance to grow, which may result in a return of the infection. Keep this drug away from light and out of reach of small children. What are the precautions recommended while taking Amoxil (amoxicillin)? 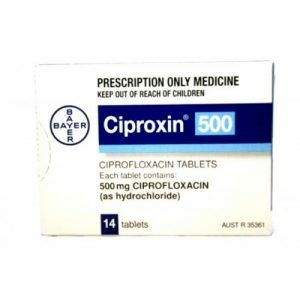 if you have a history of an allergy to antibiotics of penicillin and cephalosporin groups talk to your doctor before taking this medicine as this drug may contain inactive ingredients, which can cause allergic reactions or could lead to serious health issues. Amoxil (amoxicillin) should not be taken by people with health problems such as asthma, liver diseases, kidney diseases, mononucleosis, gonorrhea or heart problems or certain type of viral infection. Even if they want to take, it should be done under medical supervision. Before taking Amoxil inform your doctor about your all other medications including prescription drugs, non-prescription drugs, and herbal products. Women who are pregnant or expecting must consult their doctor before using this medicine as intake of this drug may cause some health issues. Inform your doctor if you are breastfeeding because Anoxil can pass through breast milk and increase the risk for the baby. Older people must consult doctor before taking Amoxil as they may need to take lower doses of this drug. What are the warnings while taking Amoxil medicine? Tell your doctor if you have problem of getting allergic reaction to any medications, especially to any penicillin antibiotics such as ampicillin, dicloxacillin, oxacillin, penicillin, or ticarcillin. If you are suffering from serious health problems like allergies, liver problem, kidney problems or heart problems let your doctor know before taking this drug. Take this medicine as directed by your doctor and once you start a course of amoxicillin, you should complete the full course. Do not stop taking amoxicillin, in-between as it may cause bacteria to grow back stronger. Women who are using birth control pills must talk to their practitioner before taking Amoxicillin as this drug may make birth control pills less effective, which may lead to pregnancy. Women who are pregnant or plan to become pregnant must inform their doctor before taking this medicine. Amoxil is an antibiotic meant to treat only bacterial infections and it will not treat a viral infection such as the common cold or flu. Amoxil for treating other diseases. What are the side effects caused while taking Amoxil medicine? Amoxil is an antibiotic used to treat bacterial infections, approved by FDA as one of the best and most effective antibiotic to treat various bacterial infections such as infections of the ear, nose, throat, skin, and urinary tract, bronchitis, pneumonia and many others. Although Amoxil is very effective for eliminating bacterial infections, it also gives good number of side effects for some people. These are some of the side effects cause by taking Amoxil, but it may not occur in everyone who use it .If you experience any of these symptoms call your doctor right away and get medical help before its too late.